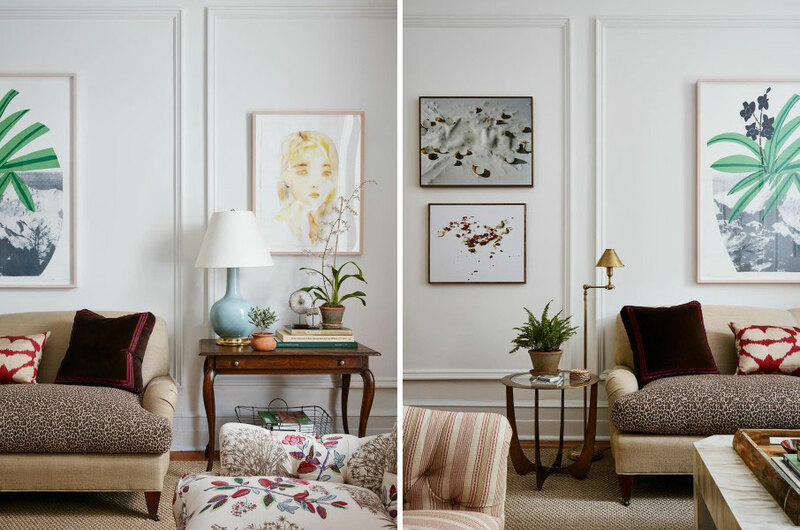 Keeping business in the family is extremely common, but it’s not everyday that you meet a mother-daughter interior design team with taste this impeccable. 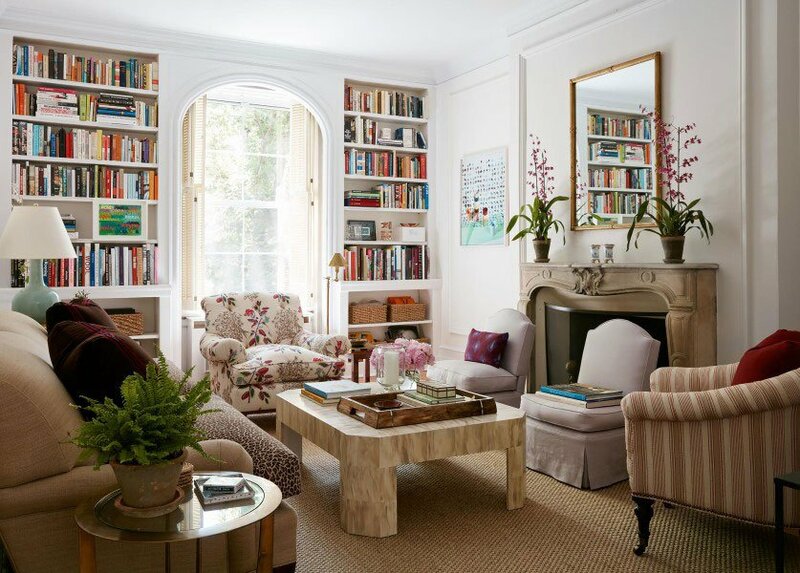 Lauren McGrath and her mother Suzanne, who make up the aptly titled firm McGrath II, are already known for their stunning townhouses, country homes and pied-a-terres, so when it came time to revamp her own Upper East Side apartment, Lauren led the way without hesitation. The living room is 325 square feet and is the largest space in the apartment. This communal space is mostly used for hosting company, so McGrath set out to incorporate as many seating options as possible. She prefers sofas and armchairs that are traditional in style since they’re more comfortable and easier to match with different types of fabric. 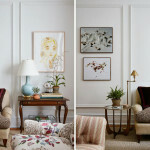 She also explains how mixing modern art, mid-century pieces and contemporary accessories in to one space makes it feel less stuffy. The floral club chair was the first item she selected for the room. She was drawn to the vibrancy of the bold pattern and saw the potential to match it with an array of contemporary patterns. The coffee table was based on an existing mid-century design and the new piece was fabricated from wood and treated with a faux finish to mimic a horn inlay. 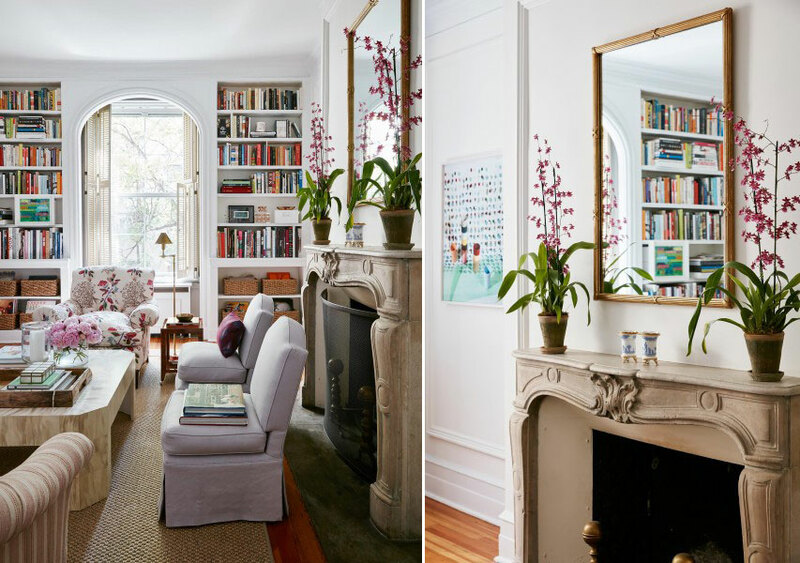 The original wood-burning fireplace is adorned with a gilded mirror that once belonged to McGrath’s grandparents. 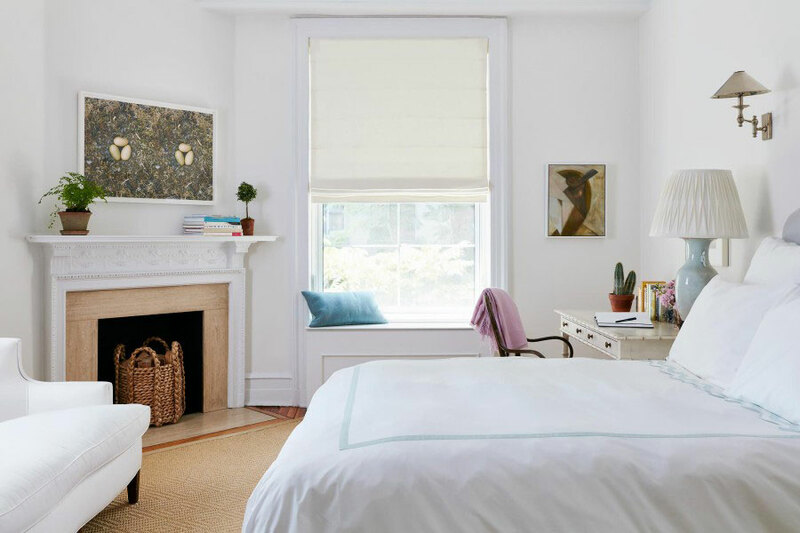 The color palette of the bedroom is soft and romantic, and the design aesthetic repeats the same eclectic yet elegant mix of traditional, modern and contemporary found in the living room. From the vintage wall sconces to the woven basket and light wood fireplace, each piece was strategically selected and placed to create a cohesive room that is both formal and inviting. Not only are the McGraths great designers, but they also have their own blog where they dole out fun and useful design tips. Visit the blog and their website to see everything this dynamic duo has to offer.